Nice friendly hosts, with a warm welcome. 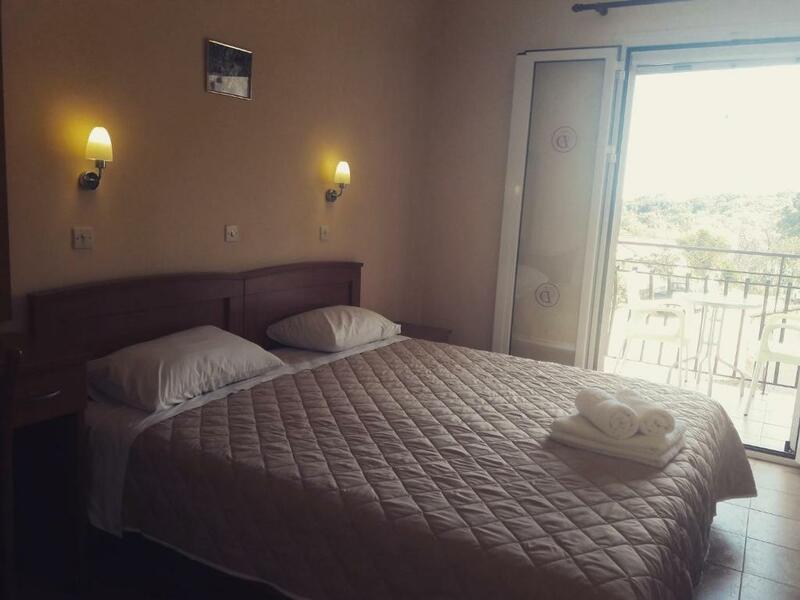 Very clean and tidy room with a comfortable bed. Had a small view of the sea from the side of the balcony. Location was good and the property was very clean. The local beach was good. Quite sandy plenty of sun chairs and shades and good beach bar. The location was perfect, we walked to Skala centre everyday as it only took 5 minutes. We could've sat in the balcony all day as the sun shines directly pretty much all day. WI-FI connection was great. Dennis was very approachable and every time we saw him around he would ask us how our day was, if we slept well, etc. 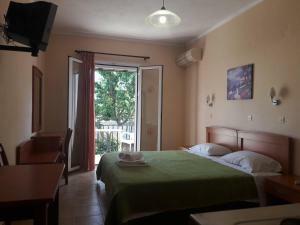 Extremely friendly and the perfect location for me in Skala. Always feel welcomed by Dennis, thank you for another amazing stay!! Bed really comfy, and close too all amenities. The owner Dennis was very accommodating and even met up at the local bar for a beer. Fantastic location clean and tidy. The owner was a great host. Dennis the host was lovely and happy to help with any questions and the room was very clean and tidy. The apartments are very close to all the shops and restaurants and the beach is a 5 minute walk away. il proprietario é stato molto gentile e disponibile. La struttura era molto pulita ed era vicino al centro e alla spiaggia. Ci tornerei molto volentieri e lo consiglierei ad amici anche in considerazione dell'ottimo rapporto qualità/prezzo. 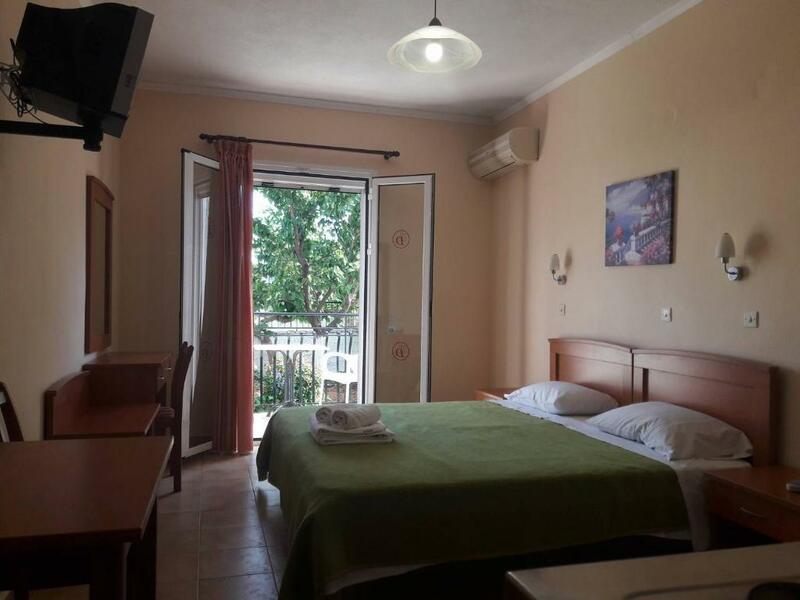 Lock in a great price for Dionysios Studios - rated 9.2 by recent guests. Dionysios Studios is located on the outskirts of Skala Village of Kefallonia, just 100 yards from the village centre and 350 yards from the sandy beach. 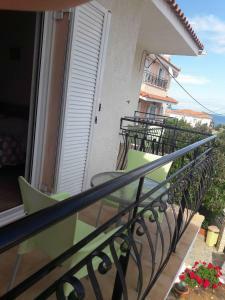 It offers accommodation with a balcony overlooking the sea or the surrounding area. The studios and apartments are air conditioned and come with a safety deposit box and satellite TV. Basic kitchen equipment is provided, including cooking hobs, kitchenware, a toaster and a fridge. Restaurants and bars are available, at 100 yards. Water sports facilities, and sun beds are available to rent on the beach. Dionysios Studios is approximately 21.7 miles from the island’s capital and 7.5 miles from Poros. The owners can offer information on the area in English, Russian and Greek. Free public parking is available nearby. 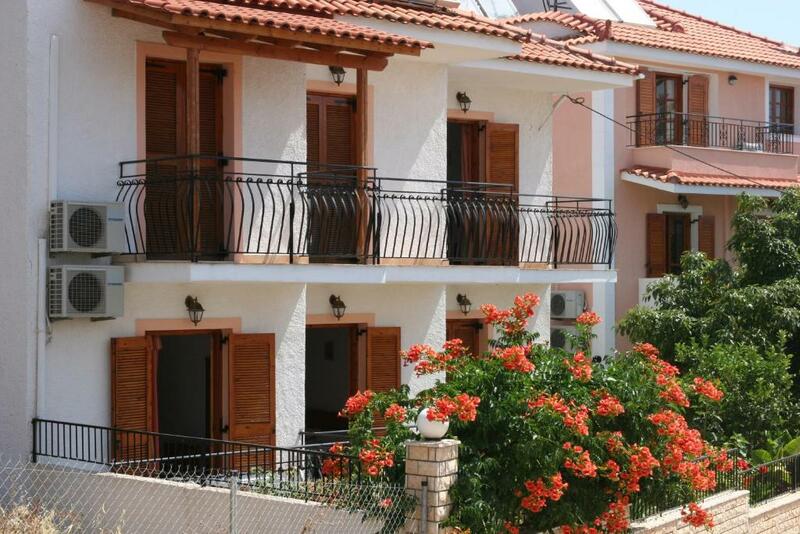 This property also has one of the best-rated locations in Skala Kefalonias! Guests are happier about it compared to other properties in the area. 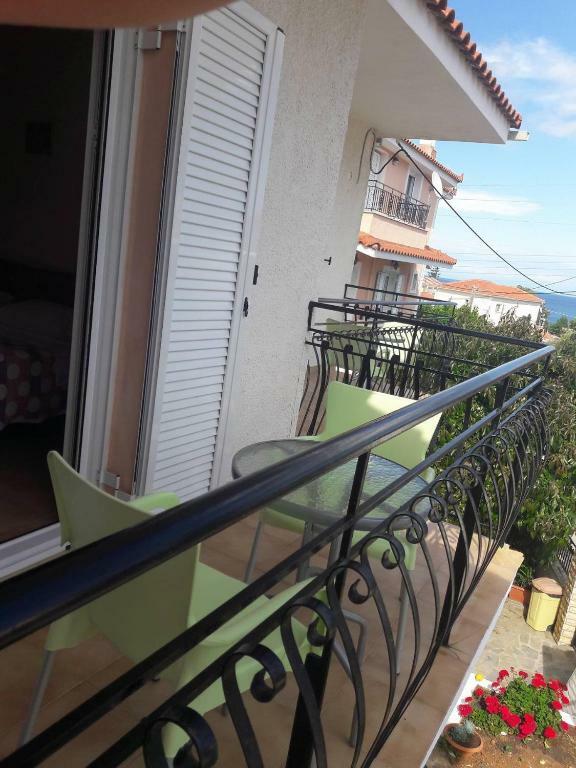 This property is also rated for the best value in Skala Kefalonias! Guests are getting more for their money when compared to other properties in this city. Dionysios Studios has been welcoming Booking.com guests since 17 Jun 2011. When would you like to stay at Dionysios Studios? The air-conditioned studio opens out to a private balcony or a patio, from where you can enjoy views over the Aegean Sea or the garden. It comes with a satellite TV and a kitchenette with fridge and sandwich maker. House rules Dionysios Studios takes special requests - add in the next step! Dionysios Studios accepts these cards and reserves the right to temporarily hold an amount prior to arrival. Please inform Dionysios Studios in advance of your expected arrival time. You can use the Special Requests box when booking, or contact the property directly with the contact details provided in your confirmation. Clean and spacious. Good value for money. Air conditioning was an additional charge. Tv very limited. Finding the apartments was very difficult to find in the dark. The property was very basic and in no way reflected the pictures on your website. It was very basic indeed and cramped. The shower was approx 1.5 mtr x 0.2 mtr. Initially the owner told us we would have to pay extra for the air conditioning. Eventually he backed down on this issue. Very friendly and helpful nice clean rooms!